G protein-coupled receptors (GPCRs) are one of the most important target classes in pharmacology and are the target of many blockbuster drugs. Yet only with the recent elucidation of the rhodopsin structure have these receptors become amenable to a rational drug design. 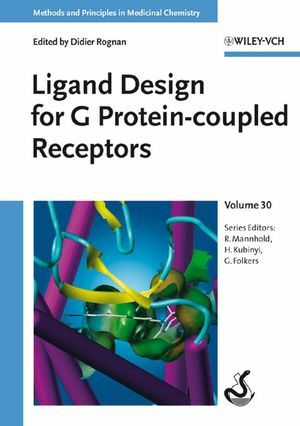 Based on recent examples from academia and the pharmaceutical industry, this book demonstrates how to apply the whole range of bioinformatics, chemoinformatics and molecular modeling tools to the rational design of novel drugs targeting GPCRs. Essential reading for medicinal chemists and drug designers working with this largest class of drug targets in the human genome. Didier Rognan leads the Drug Bioinformatics Group at the Laboratory for Molecular Pharmacochemistry in Illkirch (France). He obtained a graduate degree in Pharmacy from the University of Rennes and completed his PhD in Medicinal Chemistry at the University of Strasbourg under the supervision of Camille G. Wermuth in 1989. Moving to the Swiss Federal Institute of Technology in Zürich he became Assistant Professor at the ETH before being named a research director at the CRNS in Illkirch near Strasbourg in 2000. Professor Rognan is mainly interested in all aspects (method development, applications) of protein-based drug design and virtual screening. "Die vielfach farbigen Abbildungen und Übersichten sind von hoher Qualität. Die Literatur wie gewohnt aktuell und umfangreich."